Bout # 15: Netflix told me I’d probably like Source Code. The extra $2/month is already paying dividends. 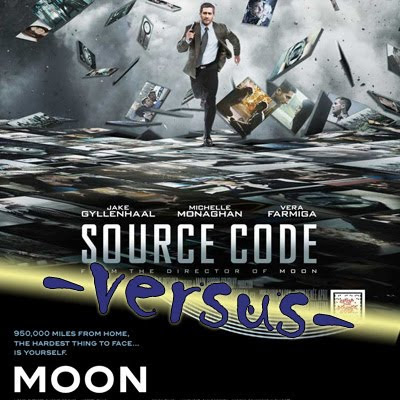 I liked Duncan Jones’ second movie so much in fact, that I immediately watched his first movie, Moon. And I’ve realized that the comedy with which I write these things is inversely proportional to how much I liked the movies. So… sorry. 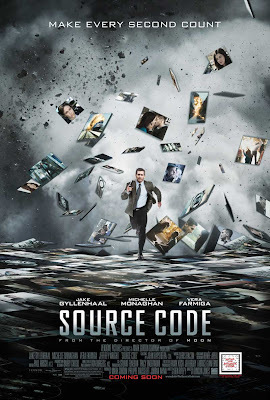 Source Code: Rarely, likely never, has a movie come along that has hit virtually all of my obsessions as this has with such exactitude. It combines Quantum Leap with actual quantum physics. It’s Groundhog Day meets Déjà vu meets Back to the Future, or at least the Multiple Worlds theory from the second one. And it had a 10-minute tutorial on the science behind some of the theories presented in the movie for wannabe geeks like me. If you want a movie that makes you think, put this on your Netflix queue and hit “Move to position #1.” If you don’t, watch Basketball Wives. 10 bugs. Moon: Damn, now this came out of left field too. I suspected it would be good based on Source Code, but it was like REAL good. The movie took place entirely on a space station on the moon – possibly called a moon station I suppose – with a few scenes outside on the actual moon. The movie starred Sam Rockwell, which is a risky move in and of itself, let alone the fact that he was the only person in the movie AND they decided to clone him several times over and have them in the same scene. But it worked. Phenomenally well. 9.5 bugs.